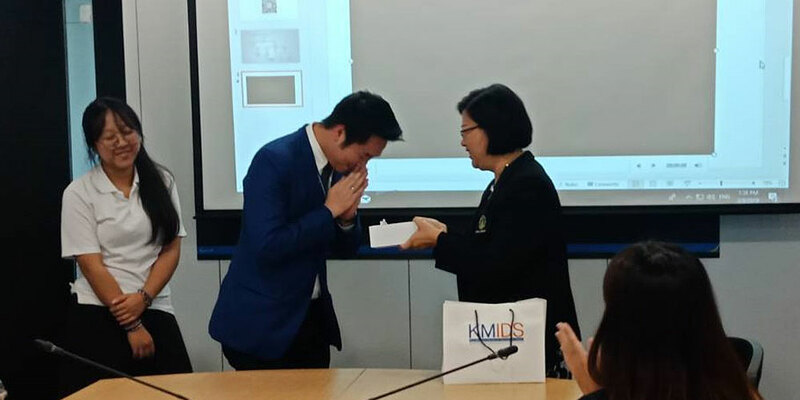 A group of 24 teachers and students from King Mongkut’s International Demonstration School (KMIDS) visited Mahidol University International College (MUIC) on February 8, 2019. 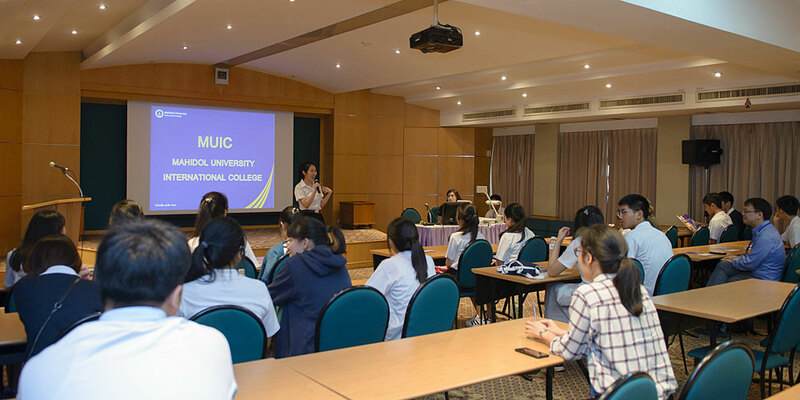 At the Seminar Room, Building 1, the students learned more about MUIC’s undergraduate programs, admissions procedure, requirements, and others. Then at Room A302, Assoc. 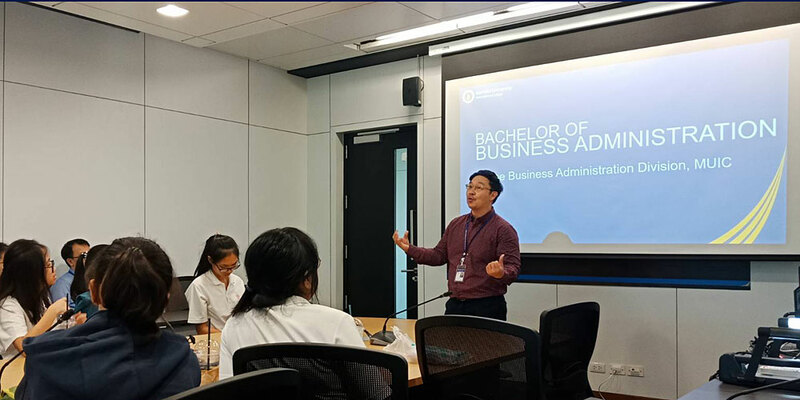 Prof. Dr. Chulathida Chomchai, MUIC Dean, welcomed the group along with representatives from the other academic divisions. 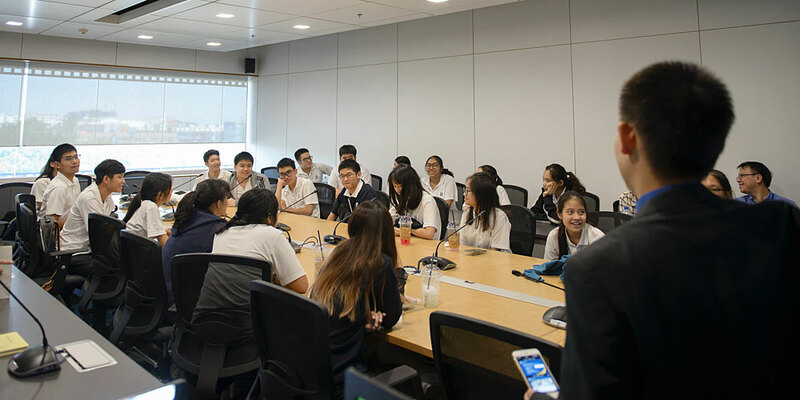 They also had a Q&A session with MUIC’s current students who came to share useful information and their experience as college students. Afterwards, they had a campus tour which included the various MUIC buildings and Salaya Pavilion Hotel and Training Center.